But, more than legends it is the stark reality that greets you wherever you go in Nepal in the form of the mighty Himalaya that never fails to inspire and instil a sense of awe in you. And there is perhaps no other city, quite like Pokhara from which to admire the immensity of the western Himalaya which rise out of the valley floor a mere 30 kilometers away! To get even closer to the mountains you will visit Astamkot. From the comfort of your mountain resort, watch the sun set in the evening and again rise the following morning over the iconic “fish tailed” mountain or M.t Macchapucchare (6993 m.) as it is locally known. What Mt. Macchapucchare lacks in height, after all in Himalayan terms it is mid-sized, it more than makes up for in sheer grace and beauty. And that beauty is gloriously revealed from Astamkot from where you can actually see the twin “fish tailed” peaks of one of the world’s most recognizable mountains. Day 01 Arrive in Kathmandu .Transfer to your hotel.Depending on the arrival time of your flight, sightseeing tour of Kathmandu. 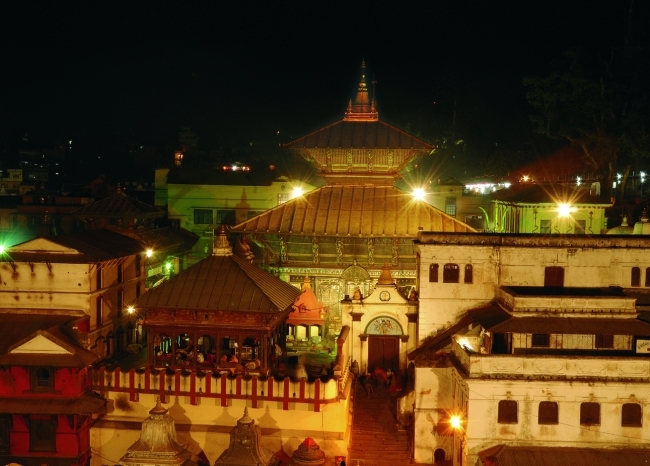 Day 02 Full day sightseeing of Kathmandu Valley.Sightseeing tours includes Patan Durbar Square , Kathmandu Durbar Square , The Pashupatinath Temple & Boudhanath Stupa. Day 03 Fly Pokhara .Transfer to the hotel . At Leisure around the lake-side district. Day 04 Drive to Milan Chowk, change to off road vehicles and drive 30 minutes to the hill top resort at Astamkot. You may also choose to walk roughly two hours instead of driving off road. Relax! Day 05 Fly kathmandu .Check in to your hotel . sightseeing tour of Bhaktapur. Day 06 At an appointed time transfer to airport for your departure from Nepal.